Nimes wants to return in the first part of the ranking while Rennes wants to hang a European place. Nimes currently ranks 11th in the Ligue 1. The promoted are level and are 16 points ahead of the first relocatable, Dijon. But the Gardists had not won since 4 league games. Beaten at Parc des Princes by PSG (3-0) then by Amiens (2-1), they held Strasbourg in check (2-2) before losing to Saint-Etienne last week (2- 1). But Saturday, they returned to success against Caen (2-0). Eliminated in the Europa League by Arsenal (3-0), the Stade-Rennais found the Ligue 1 by fetching a draw against Bordeaux. Subsequently, he lost at home against OL (0-1). These two average results have demoted the Bretons to 10th place, still 8 points from European places. Tuesday, they won their ticket for the Stade de France by winning in the semi-finals of the Coupe de France against Lyon (2-3) and this weekend, they conceded the draw at the end of the match against Angers ( 3-3). Frames Harek, Alakouch and Depres, will be absent. Maouassa, the midfielder loaned by Stade-Rennais, will not play this match. 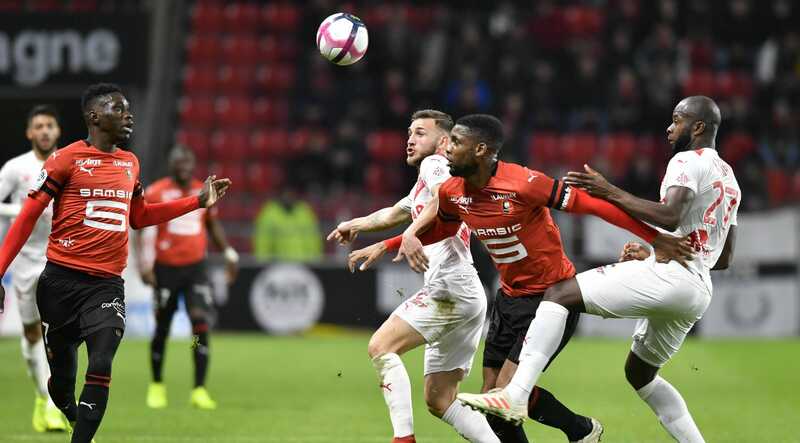 Rennes will be deprived of its holders Da Silva, Bensebaïni, Grenier, potential holders Zeffane, Siebatcheu and Lea-Siliki and substitutes Baal, Danzé, Johansonn, Guitane, Diallo. Potentially suspended for the final of the Coupe de France in case of yellow card, Sarr and Niang could be preserved. Nîmes: Bernardoni – Paquiez, Briançon, Lybohy, Miguel – Ferri, Savanier, Bobichon – Thioub, Bozok, Bouanga. Rennes: Koubek – Traoré, Nyamsi, Mexer, Doumbia – Andre, Bourigeaud – Del Castillo, Ben Arfa, Camaving – Hunou. In the first leg, Rennes won 4-0.